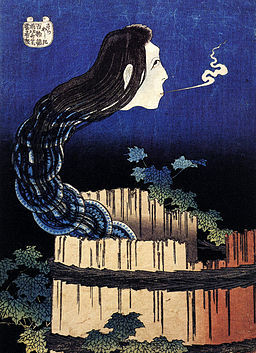 Women in Horror: Female Spirits and Emotions in Japanese Ghost Stories by Amelia Starling Summer in Japan is ghost season. The windows of every bookshop display tales of spirits and monsters, nestled between strings of paper lanterns. During the humid, uncomfortable nights, people huddle together to share these stories. There is nothing quite like the … Continue reading "Women in Horror : Japanese Ghost Stories"